The challenge we have today is that we need a better understanding of the online behaviour of our customers. We want to understand their buying decisions, so that we could 1) build a better assortment of products in our online shop, 2) increase share of online grocery shopping and 3) maximise revenue per customer. We believe there are insights to be revealed in our extensive set of consumer purchasing data that could help us to achieve these goals. We would like you to make a data-based customer behaviour study for online grocery shopping at Coop.dk MAD. By applying different data mining techniques you should be able to identify purchasing patterns and customer insights that could lead into significant breakthroughs. Therefore, for this project we set an ambitious goal to improve revenue per online customer by 5%. 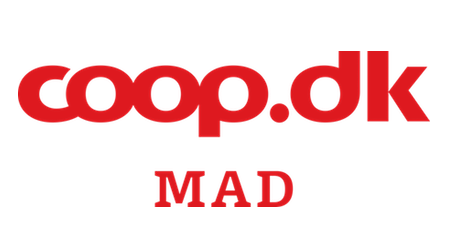 •	What are the characteristics of high spending customers at coop.dk MAD? •	Which levers could increase share of grocery spend per customer at coop.dk MAD? •	What products are important for high spending customer? •	What products are missing in our assortment to increase spend? •	Which products have purchasing chain reactions? To help you answer these questions we will provide you with an access to our online purchasing data since 2016, including sales per customer, geography, items in the basket by category, Google Analytics, etc. To increase the scope of the project there is also a possibility to get an access to huge data set of our regular Coop customers, their baskets and cross-link it with online shop dataset. At the end of our collaboration we expect you to share insights about our customers purchasing behaviour and provide recommendations as to how we can improve our revenue per customer by given target. We would like you to present your results to management and employees at our HQ. For this project we seek a motivated student or a group of students within Master or Bachelor studies related to Data Science, Customer Behavior, Statistics, Business Intelligence, Marketing or similar. We expect you to be self-driven and have strong data analysing skills. You can expect a high degree of involvement from our management as well as a high degree of flexibility in how to approach this case and answer the given questions. Ideally, we would like you to spend time working on your project with us at our HQ in Vallensbæk in order to have an easier access data and knowledge from internal employees.